A place in the London Marathon? Don’t panic. So you just found out you got a place in the 2017 London Marathon…. don’t panic!! London Marathon ballot results were out recently, and for those amongst you fortunate enough to get a place in next year’s marathon, there may well be a feeling of mixed emotions right now! I’m sure that the anxiety is creeping in alongside the elation at this stage. If you are wondering if you will ever be able to make the distance without injury, and then have a look at a few of these tips to help you through the next six to seven months. It’s not all about physio you know.. Strengthen your legs! You won’t get through the London Marathon without power. I can’t stress enough how important it is at this stage to get your legs as strong as possible. The stronger your legs are, the more power you will be able to generate and the better endurance you will have on race day. You now have a three-month window to work on this – whether that be on your own in the gym or with a friend, with a personal trainer or even in a group situation. 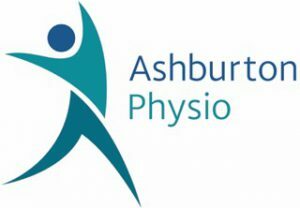 At Ashburton Physio, we are able to advise you on the muscle groups that you need to work on. Training for the London Marathon shouldn’t be just about putting your trainers on and running out of your front door! Get the right gear. Make sure you have a good pair of supportive running shoes that are appropriate for your foot-type and running style. 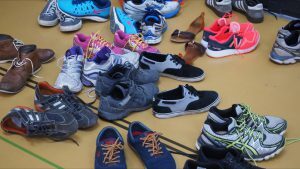 It is advisable to have 2 pairs to alternate between; as you rack up the miles your trainers may be worn out by the time race-day approaches and there may not be enough time to break in a new pair. It is likely you will be faced with adverse weather conditions whilst training through the winter months so be sure to layer-up and wear reflective clothing if running in the dark. Get comfortable with running. For the next three months do not stress about the distance. Yes, 26.2miles is a very long way, but plan to complete a few short-runs each week with the aim of getting up to 10km by Christmas. Most training programmes ramp up from 10km so if you can be comfortable with this distance and focus your early training towards strength work, you will stand yourself in good stead for when things start to get a bit more intensive. Choose a training programme. Most programmes are around 16 weeks long – pick one that suits you and your lifestyle. The long runs form the foundation of your training, so aim to diarise these for the weekend (or whenever you can fit them in), then plan your shorter mid-week runs around them, ensuring you leave yourself with adequate rest and recovery time. To help avoid injury, make sure you ramp up the distance gradually – you are aiming for no more than a 10% increase per week. Plan to run in an organised event as part of your training. 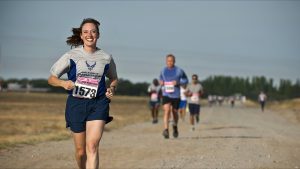 For those of you who are used to running on your own and not in a race scenario it is a good idea to schedule a race such as a 10k or half marathon into your training. This is so that you can learn to run in a crowd of people and pace yourself appropriately. It is very easy to get swept up in the atmosphere of the race and let the adrenaline take over – before you know it you’ll have depleted your muscles of their glycogen stores and you’ll be running straight into a brick wall. To stop this from happening, make a note of your average time per mile/km in your training and try and keep to this time for the first few miles of the race until you get going – save your energy for the last few miles which is when you’ll be needing it the most. Don’t neglect the interval training. Once you have strengthened your legs and ramped up the mileage, it is a good idea to incorporate some interval training into your training regime. One to two short 20 minute sessions per week of fast miles or hill sprints is all that is needed. It will help you to gain power and speed and will send your fitness level through the roof in preparation for race day. Listen to your body! 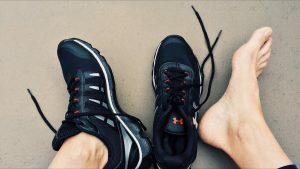 A lot of training programmes encourage you to run five to six times a week and although for some people this is okay, for a first time London Marathon runner this can be too much. If you feel like you need a rest, then take some time off from running. Most training programmes have an easy week or two to help you recover so utilise this. If you are feeling any aches or pains, address them before they develop into something more serious. If you are struggling with an injury and are unable to run, then whilst you recover substitute the time that you would normally spend running with another less intensive cardiovascular activity such as cross-training, cycling or swimming to maintain your fitness. A sports massage may help to soothe those aching muscles, or for anything more serious, come and see me or Jenny.